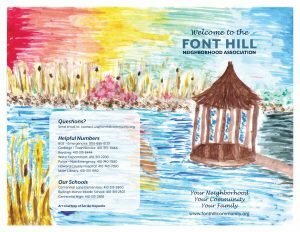 We are proud to show our community brochure! 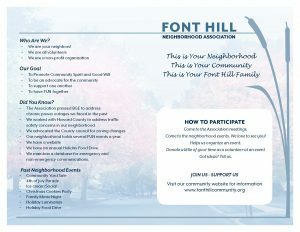 A booklet that gives an overview of what our Neighborhood Association is all about. This was a real team effort. Heather Guy donated her time as our graphic designer, she did the layout. Sarika Kapadia created the artwork on the front page. I think the art work is what makes this booklet so beautiful. 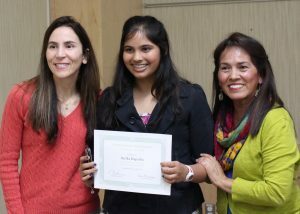 Sarika our young artist was recognized at the Community Annual meeting. She was awarded a Certificate Of Appreciation for her outstanding contribution to the our community along with a gift certificate. We are so happy and proud to have such young talented artist in our midst. Thank you Sarika! and thank you of course to her parents for supporting her talent.